In recent years, due to the massive outflow of rural labor force, the contradiction between sericulture and farming has become increasingly prominent. How to obtain better economic benefits with lower labor intensity and shorter time input has become a development direction of the current sericulture production. 9 The late autumn-mid-October is the late autumn silkworm rearing period. It is during the busy season and the mid-autumn silkworm rearing, which increases the chance of silkworm infection. In addition, the mulberry leaf is easy to be aged and has a low moisture content, which is unfavorable to silkworm breeding. The following mainly focuses on the technical measures in actual operation. 1. method. From the beginning of the ant colony to the end of Sanling, the area of â€‹â€‹silkworm rearing on plastic film for two times a day is 30%-40% higher than that on a three-day-a-day basis. The maximum silkworm area is reached in each order and the largest silkworm area in each district. The area is one order of 0.16 square meters, two orders of 0.4 square meters and three orders of 0.96 square meters. The size of cut leaves is the same as that of three rounds of cultivation. The amount of mulberry leaves is increased by 30% to 40% of the mulberry leaves compared to the first day. The mulberry leaves are required to be evenly distributed. Dry, only cover does not pad. 2. Give Sang time. The general choice is at 8 am and 8 pm. Look at the silkworm to give mulberry, and leave a small amount of mulberry leaf for the degree in the silkworm. Take a silkworm species as the standard. The order for the mulberry leaves is 1.5kg, and 2 orders. 4kg, three orders 18kg, should pay attention to advance expansion seat, timely stop mulberry, foraging. After 4-6 hours of feeding, supplement the mulberry again, give the mulberry a uniform thickness, prevent sandworm from drilling, and reduce the yield of the silkworm head. In the middle and late autumn, silkworms are often housed in the same room. If the mid-autumn silkworms are slightly diseased, they will be transmitted to late autumn silkworms, and silkworm disease will be outbreaks in the later period and the production will be severely reduced. Therefore, special attention should be paid to strict disinfection and prevention of disease. In addition to good pre-silkworm disinfection, it is also necessary to disinfect silkworm body silkworms with lime or 1% anti-pointing powder before each feeding and before each foraging. Timely phasing out, investing in lime tanks, not feeding pests and leaves, contaminating leaves, preventing rodents, and preventing pesticide poisoning. If conditions permit, it may be better for the villagers' groups or natural villages to concentrate on breeding small silkworms, so that special rooms, special equipment, and special personnel can be raised and sterilized strictly to ensure no pathogenic bacteria infection at the young silkworm stage. Third, the large silkworm from the perspective of labor-saving sericulture, mainly sage breeding methods are generally silkworm Taiwan, silkworm breeding, slanting silkworm breeding three. 1. In silkworm rearing, no silkworm cocoon is used for culturing silkworms, but woven with bamboo, etc., is woven into 1.2-1.5m wide and the appropriate length of the curtain is placed on the silkworm shelf. The silkworm shelf generally has five layers and the interval between layers is about 40cm. Thick and solid, the binding must be firm. The use of silkworm silkworm rearing silkworms can save costs, speed up the speed of feeding silkworms, save labors for removing sand, improve sericulture efficiency, and reduce labor intensity. 2. Silkworm rearing is to raise silkworms on the ground, feeding leaves quickly, do not remove sand, save labor and improve the utilization of silkworm and other advantages. 3. The mulberry slanting surface requires approximately 20 square meters of sericulture for each silkworm species to be bred. Generally, the silkworm can accommodate 2-3 rows of silkworms. The erection method is as follows: stacking bricks about 35cm in both ends of the silkworm seat and in the middle, one bamboo basket on the bricks, and each row of silkworms is 1m wide. When the branches are placed obliquely, the width of the ground of the silkworm seat is controlled at about 50 cm, and thereafter, the width of the feeding leaves increases day by day to both sides. Between the two rows of silkworms, a sidewalk of about 35 cm is required for operation. One side of the wall can also take a single slope education. The slanting larvae are three-dimensional, silkworm excrement and disease, and weak silkworms all fall on the ground, which can reduce the chance of infection and facilitate silkworms' safety. 1. Generally after five orders and food 2-3 times, they are changed to mulberry s.
2. Mulberry cultivars should generally use uniform, finely-straight, and dense-spotted varieties. Small larvae should not be used to avoid stems and leaves. 3. Sang Jin is the same in all directions. Don't cross it. It is in the shape of Sichuan, and silkworms are flat. The sangha and the tips of the sangha are arranged at intervals and thickness. 4. Grasp the appropriate number of sang and give mulberry, generally three times a day and night, sang as far as possible arranged closely. 5. When the silkworm was raised in Taiwan, it took half an hour before the mulberry to remove the coarse branches that had been eaten, and reduce the burden on the silkworm shelf. 6. Sprinkle fresh lime powder every day or every other day to disinfect silkworm silkworms. If there is any stagnation, use a stale-prevention agent in a timely manner, and order 5,1,3,5,7 to add chloramphenicol and other agents to prevent bacterial diseases. 2. On the 4th and 6th day, body spray or adding fresh food to eliminate flies, adding chloramphenicol and eliminating silkworm flies before adding the ecdysone can effectively prevent dead cages and wormholes. 7. See 1-2 days before ripening, use leaves and leaves to make the silkworm seat flat and prevent it from lingering. 8. When the autumn silkworm cuts, such as raising two autumn silkworms, when the autumn silkworm picks the leaves, they are picked neatly and the height is as consistent as possible. After cutting, each branch should leave 2-3 leaves, and the end buds must have leaves. To continue photosynthesis, accumulate nutrient-filled shoots and winter buds, and allow them to fall off naturally, prevent winter buds from falling, leave 80-110cm, stay short, and stay strong for long. 9. Do warm up work. In the late autumn, the temperature of the silkworm is gradually lower during the breeding period, and it is necessary to raise the temperature from raising to raising the upper layer. In the last flood season, especially in the 3 days after the last squat, the indoor temperature should reach 24-25Â°C, which will result in faster pod formation and higher glutinous layer rate. At the same time, the temperature in the mash will be adjusted to reduce the rancidity. 10. Pay attention to leaf quality. Strengthen the mulberry garden fertilizer management, timely application of quick-acting fertilizer or foliar spray nitrogen, improve mulberry leaf yield and quality. The mulberry leaves are now fed to reduce the storage time and prevent the leaves from losing water. Aged mulberry leaves may be sprayed with water in appropriate amounts, but care should be taken to prevent the silkworms from getting wet. GANOHERB provides multiple Health Daily Care Products to help you maintain good health and achieve better life quality effortlessly. 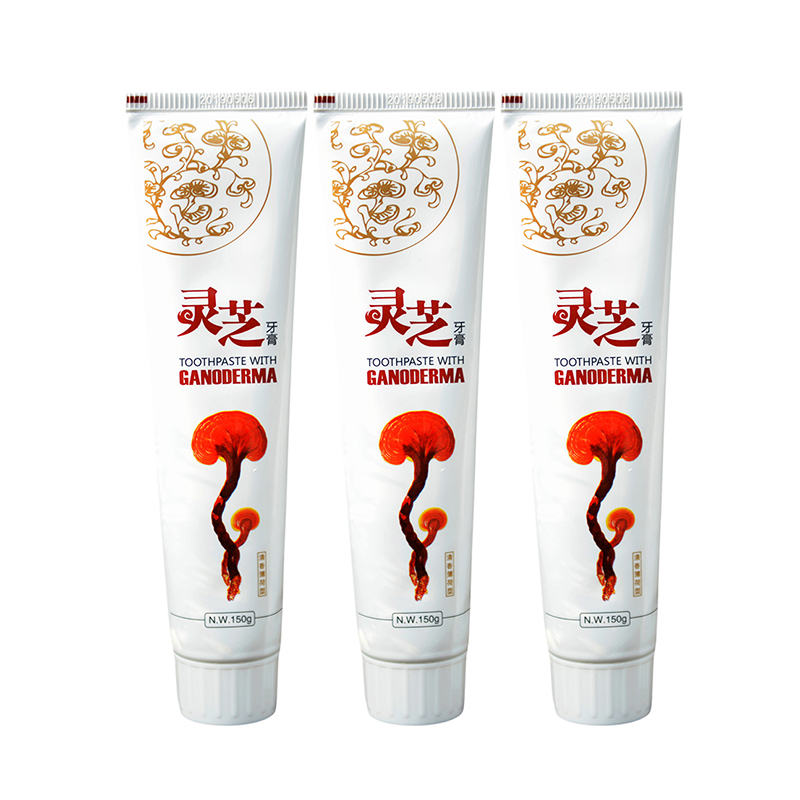 We integrate the essence of Ganoderma Lucidum into products that people usually use or take everyday such as Ganoderma Toothpaste, hot chocolate, Flower Tea , Cordyceps capsule etc. so people can experience and enjoy the healthcare effects brought by Ganoderma daily. The Ganoderma Toothpaste is added with the essence of 100% organic Ganoderma Lucidum, which comes from our self-built organic Ganoderma farms located at pristine Mt. Wuyi. It does not contain fluorine or any coloring material, making it safe and suitable for all customers. The Ganoderma polysaccharides and triterpenes are great anti-inflammatory agents which are able to significantly reduce oral inflammation as well as other symptoms caused by unbalanced oral microbiome, giving you better oral health and fresh breath safely and effectively. If you are a person who enjoys hot chocolate during the winter, we have a great option for you. GanoHerb combines the delicious hot chocolate and nutritious Reishi Mushroom together, giving you a cup of tasty drink with additional health benefits. This product is added with Ganoderma Extract, and you can enjoy the delightful, creamy and chocolaty taste that this product brings you whenever and wherever you like, either in a sunny afternoon or a cold winter. Just add in hot water and stir, a tasty hot chocolate with added health benefits will be ready for you in just seconds. GANOHERB has also developed a new flower Tea line to help you prepare for hot summers. The ingredients we used for the flower tea products are 100% natural with no additive whatsoever. For example, for the Hawthorn tea, we used pure freshly dried Hawthorn slices in order to maximize the fresh Hawthorn flavor as well as to keep the nutrition inside. Besides that, we also have Roselle tea, goji berry tea, hawthorn tea, chrysanthemum tea etc. All of them are delicious and easy to make. Simply put the content into a teapot and add boiling water. Within minutes, a pot of delicious flower tea will be ready for you. If you use a transparent glass teapot, you can enjoy watching the flower booming in water. You can also mix some of them together to create your own unique flower tea.